Betsy in the Gulf of Mexico? 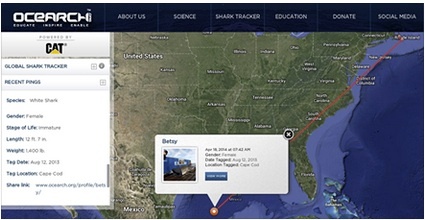 12 ft+ 1,400lb #WhiteShark Betsy pinged this morning in the Gulf of Mexico! Location quality=OK. We will be keeping an eye on this and waiting for a confirmation ping. Is Genie heading back to the Cape? Is Katherine making Georgia her home? Where’s Lydia? Looks like some sharks might be working their way back to the northeast. Challenge – look to see if you can locate where your shark is. 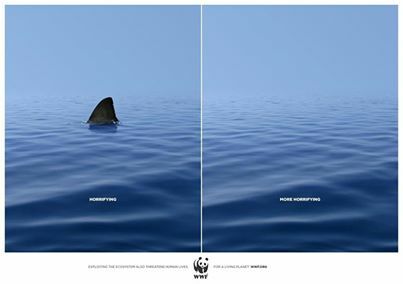 Do you notice any patterns in the direction the sharks travel? How far has your shark traveled since it was first tagged? Which shark do you think has travelled the furthest since last June? 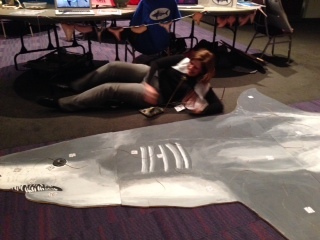 Teachers from around the country had fun with Rocky and QR codes! Approximately 1000 teachers circulated through the Elementary Extravaganza this past Friday during the national NSTA conference in Boston. 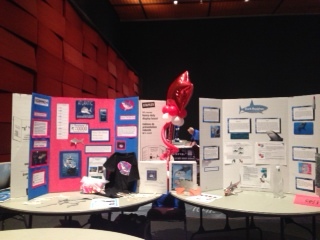 Teacher’s were very impressed with the project and the kid’s work! Nice job Mrs. Hoyt’s 5th graders! Lydia has traveled more than 21,175 miles within 1 year! 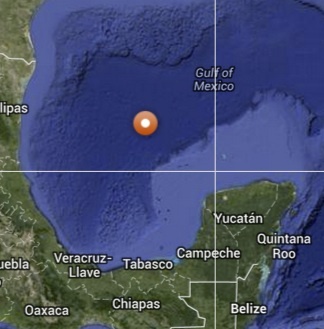 #LydiaTheShark pings offshore of Spain and Portugal! She has traveled over 21,175 miles since 3/2/2013 tag & release. Do you think she is headed for birthing grounds in the Mediterranean Sea? It has been 1 year since Lydia was first tagged! Where do you think your shark is going? How far to you think your shark has traveled since it was first tagged? 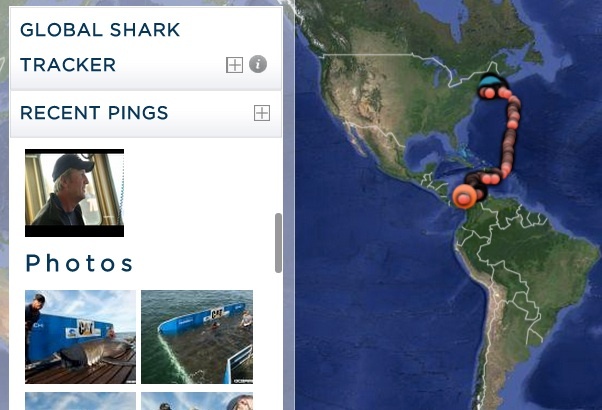 Be sure to look at all the information the Global Shark Tracker provides. I think you will be surprised how far some of the sharks have traveled! Thousands join Western Australia shark cull protest. AU 7 news reports “Protestors continue to gather on the beaches surrounding Perth. An estimated 6,000 people gathered at Perth’s Cottesloe Beach on Saturday amid nationwide protests against Western Australia’s catch-and-kill shark policy. The protests came after the second shark killed under the policy was pulled from a baited drum line off Leighton Beach on Saturday morning. The shark – believed to be a 2-metre tiger shark – was placed further offshore. The policy allows for great white, tiger, and bull sharks larger than 3 metres to be killed, while smaller sharks are to be released. A 2.3m tiger shark was also caught on Saturday morning on baited drum lines off Scarborough Beach, and was released 1.4 kilometres offshore. The protest action kicked off at 4:30am (AWST) when a 19-year-old woman locked herself to one of the two fisheries vessels being used to set and monitor baited hooks off the Perth coast. The woman had to be cut from the vessel by emergency services, and activists from the Marine Response Unit say the protest delayed the boat’s departure by two hours. “Rights, rights, rights for great whites,” the crowd chanted. 5th grade students share the coastal mural with their Kindergarten buddies. 5th grade students share their exhibits with other students. 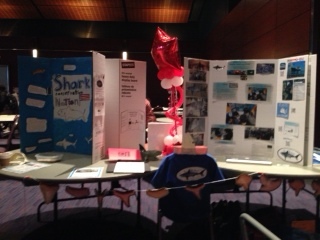 Students are sharing their exhibit and activity with others during SOS night. iPads are used to read QR codes that reveal information about shark adaptations. Rocky makes a big splash! iPads and QR codes are a big hit! Marianne Long from Atlantic White Shark Conservancy talks about shark research and conservation.